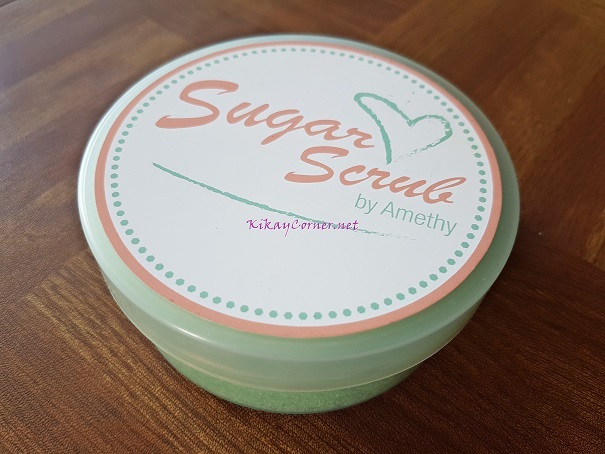 I have since totally looked forward to bathing since Sugar Scrub by Amethy! Dampen your skin in the shower OR after using your favorite soap, rinse then slightly towel dry your skin. Shake the tub OR Give your scrub a good stir using a wooden/plastic spoon before scooping out a generous amount on your palm. Refrain from using your [wet] hands to avoid contamination. You may (or may not) add a few drops of water to the scrub [on your palm] to make it smoother. 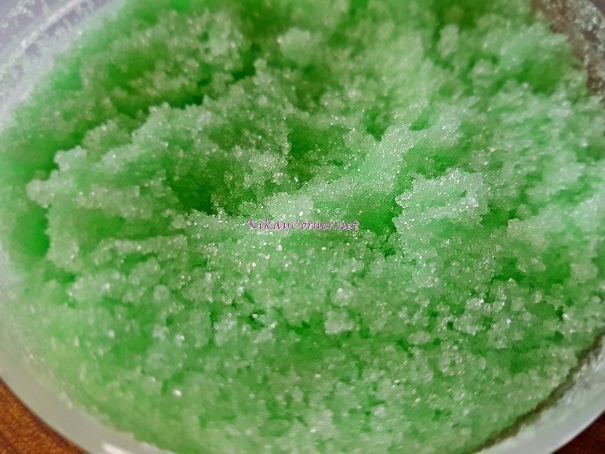 Gently scrub your body down with it in slow circular motions, using very light to moderate pressure. DO NOT SCRUB TOO HARD, NOR TOO LONG. Take this tip: Scrub until the sugar dissolves. Rinse clean and enjoy the refreshing feeling! It is recommended to scrub 2 or 3 times a week. DO NOT OVERSCRUB. Body scrub only, not recommended for the face. Also makes a great foot scrub. Shelf life is 1-2 months. 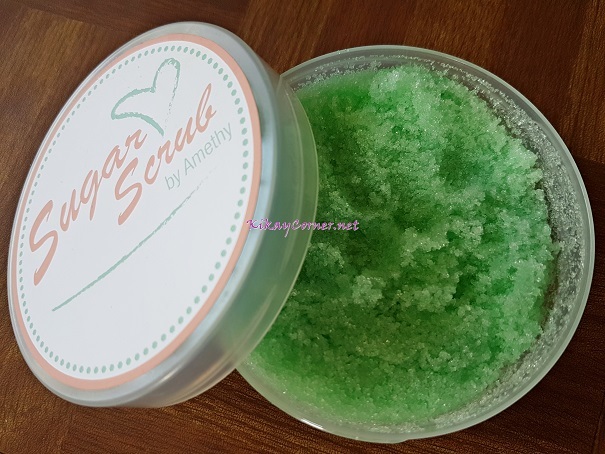 I don’t stock my sugar scrubs. I only make them hours or one day before delivery. It’s good enough to eat, but I don’t recommend it. Keep away from children’s reach. Main Ingredients: sugar, premium peppermint oil, Vitamin E, and other skin-nourishing oils.